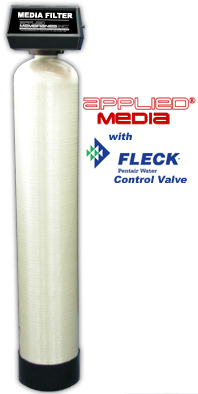 Sediment FItler Fleck Valves - Multi-Media Filters Control Valves | Applied Membranes Inc.
Multi-Media Filters contain several types of media and gravel under bedding. Multi-media filtration is a proven design concept; the coarse media layers in the top of the tank trap large particles, and successively smaller particles are trapped in the finer layers of media deeper in the bed The result is a highly efficient filtering since removal takes place throughout the entire bed. Multi-Media depth filters typically remove particles 5-15 microns in size or larger. 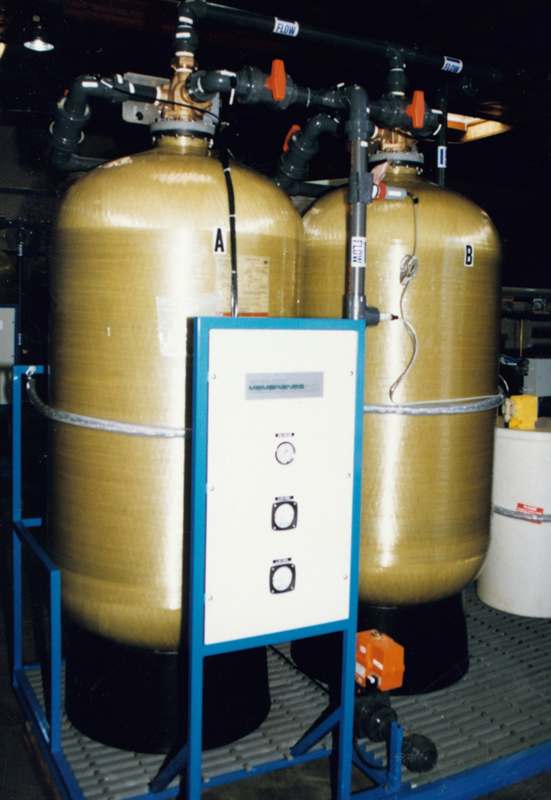 All media included in our filters are carefully selected according to particle size, so the media retains its stratification during backwash and rinse. Automatic backwashing system removes the trapped contaminants within the filter bed and washes them down the drain. 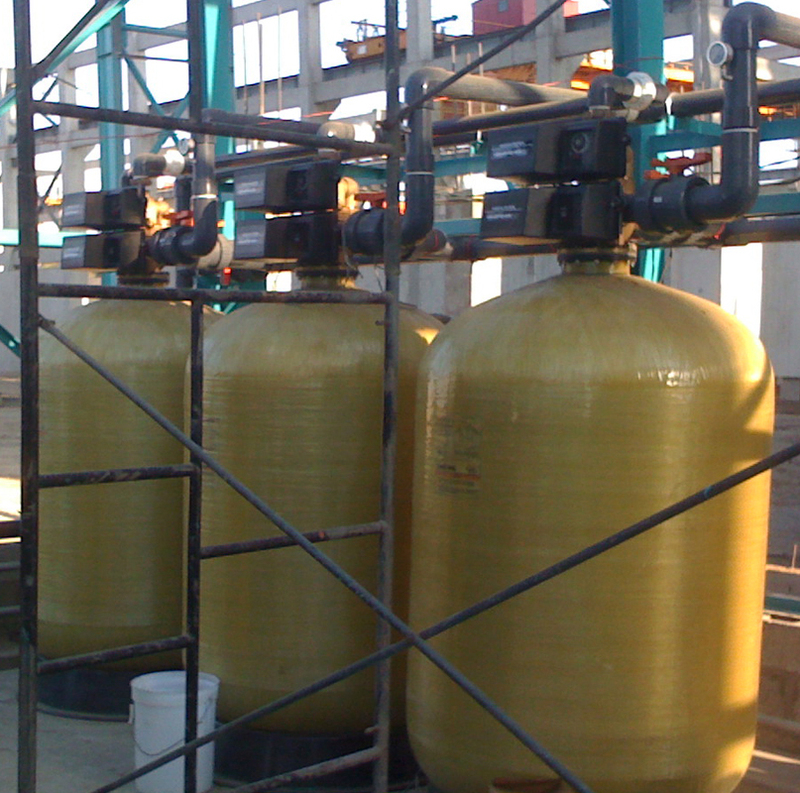 * Multi-media Backwash Filters are available with several options of valve voltages. Please add the appropriate voltage code to the end of the model when ordering. Stainless Steel Jackets are available for 9” to 16” Diameter Multi-Media Sediment Filters. To include a SS jacket with your multi-media filter, please add the appropriate part number below to your RFQ or order.